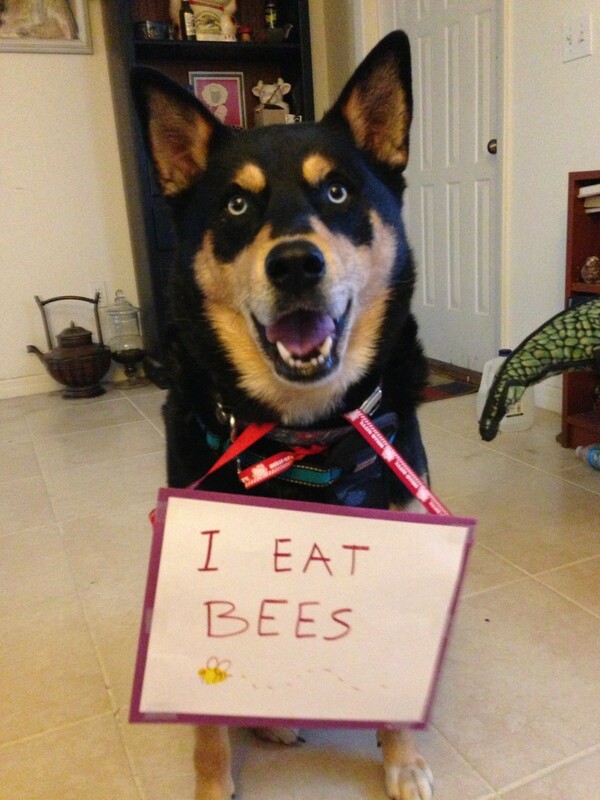 Nyssa goes out of her way to hunt down bees and eat them. Although, sometimes she just holds on to them. Our dog would do that, too, when she had her cone on. Trap the bees, wasps, etc., until they stung her. She never did learn. Nyssa likes to get BUZZED!!!! Mine liked to do that too. She would try to eat the dead ones after we sprayed them. I would scold her while pulling her away saying that the spray killed the bees it would probably make her sick too. Silly dog.